Three months ago, I briefly participated in a Palestinian solidarity conference in Stuttgart. The event was dedicated to the 'One State Solution'. As it happened, I was touring in Germany at the time, and thus accepted an invitation by the organiser to say a few words. Being primarily an artist, rather than a politician or an activist, I am committed to truth and beauty rather than a party-line or any given ideological doctrine. Yet, without my intending to do so, and in just a few sentences – I managed to cross every possible ‘red line’, and I bought myself a few more enemies. In my speech, I said that as much as ‘universalism’ is a beautiful idea, it is incompatible with Jewish culture, since Jewish culture is tribally oriented. I also told the German Palestinian supporters that as much as ‘peace’ is a beautiful concept, associated as it is with harmony and reconciliation, Shalom, the Hebrew word for peace, is actually interpreted by Israelis as ‘security for the Jews’. I thought that the supporters of the ‘One State Solution’ should be aware of the complexities that lie ahead. Until now, it' been a real source of pride amongst Israel's support network that big name musicians have felt 'safe' to appear at Zionist fund raisers. Even whilst Israel commits ever more stomach churning war crimes in Palestine and -as we saw in May with the attack on the Freedom Flotilla - in international waters. The Palestine issue is now 'hot' and for the first time, this coming week, a music festival featuring forty world class musicians and bands is taking place in London to send this message far and wide. JAZZA Fesitval is at the SCALA, London on 12th/13th October, marks the official launch not only of the much anticipated Robert Wyatt/Atzmon/Ros Stephen album.It brings together for the first time artists from the worlds of jazza, funk, folk and hip hop - for Palestine. Ha aretz reported this week that a boat carrying Jewish activists from Israel, Germany, the U.S. and Britain set sail on Sunday for Gaza, hoping to breach Israel's blockade there and deliver aid. 9 Jews will participate in this brave mission: amongst them is Rami Elhanan, an Israeli peace activist whose daughter Smadar was killed in a suicide bombing in 1997. Elhanan rightly maintained that it was his moral duty to act in support of the Palestinians in Gaza because reconciliation was the surest path to peace. "Those 1.5 million people in Gaza are victims exactly as I am," he said. Elhanan and Shapira make a lot of sense, for they speak in the spirit of humanism and universalism. However: when it comes to Jewish political activism, there is always one ‘righteous person’ who insists on providing a glimpse into what is still a deeply Judeo-centric agenda. Well done Richard. Let me get it right : amongst the Jewish population of 18 million people, worldwide -- all you have managed to apparently represent, speak for and collate, is 9 humanist souls who are not happy with Israeli policies. One of the most striking trends following the flotilla attack has been how quickly Israeli hasbara is being exposed by internet journalists. The doctored IOF audio clips, where amateurs with mock Arab accents hiss ‘Go back to Aushwitz’ to Israeli naval officers. Well they didn’t take long to pull apart did they? Then there are the (so-pathetic-they’re-almost-funny claims the flotilla was linked to Al Quaeda. I laughed out loud to read in an Israeli paper that humanitarian activist (and former US marine) Ken O’Keefe was going to Gaza to; ‘train a commando unit in Hamas.’ I know Ken fairly well. Quite frankly I’m not sure who should be more insulted by this stupidity him or Hamas? Either way flinging the words ‘Hamas’ ‘Jihadists’ and ‘Israel’s security’ around is no longer having the same shock and awe effect on journalists or the public at large. 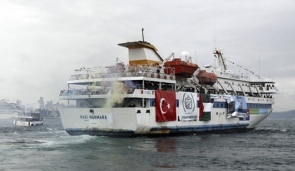 For days the Israeli government prepared the Israeli society for the massacre at sea. 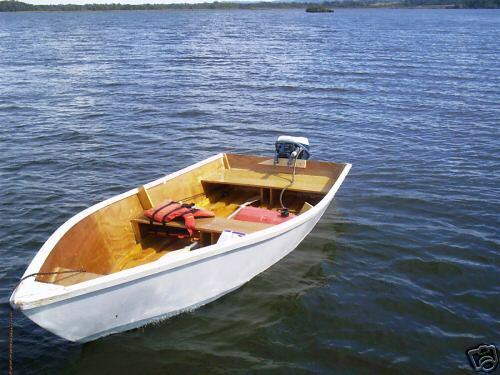 It said that the Flotilla carried weapons, it had ‘terrorists’ on board. Only yesterday evening it occurred to me that this Israeli malicious media spin was there to prepare the Israeli public for a full scale Israeli deadly military operation in international waters. Make no mistake. If I knew exactly where Israel was heading and the possible consequences, the Israeli cabinet and military elite were fully aware of it all the way along. What happened yesterday wasn’t just a pirate terrorist attack. It was actually murder in broad day light even though it happened in the dark. Today we will see demonstrations around the world, we will see many events mourning our dead. We may even see some of Israel’s friends ‘posturing’ against the slaughter. Clearly this is not enough. The massacre that took place yesterday was a premeditated Israeli operation. Israel wanted blood because it believes that its ‘power of deterrence’ expands with the more dead it leaves behind. The Israeli decision to use hundreds of commando soldiers against civilians was taken by the Israeli cabinet together with the Israeli top military commanders. What we saw yesterday wasn’t just a failure on the ground. It was actually an institutional failure of a morbid society that a long time ago lost touch with humanity. It is no secret that Palestinians are living in a siege for years. 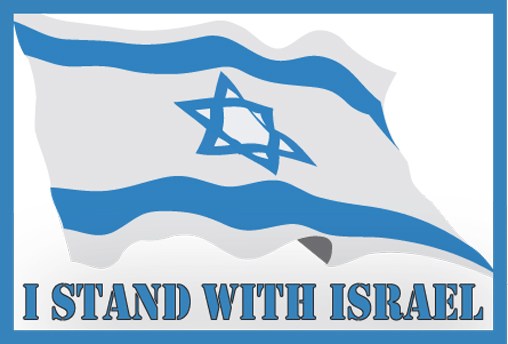 But it is now down to the nations to move on and mount the ultimate pressure on Israel and its citizens. Since the massacre yesterday was committed by a popular army that followed instructions given by a ‘democratically elected’ government, from now on, every Israeli should be considered as a suspicious war criminal unless proved different. Considering the fact that Israel stormed naval vessels sailing under Irish, Turkish and Greek flags. Both NATO members and EU countries must immediately cease their relationships with Israel and close their airspace to Israeli airplanes. Considering yesterday’s news about Israeli nuclear submarines being stationed in the Gulf, the world must react quickly and severely. Israel is now officially mad and deadly. The Jewish State is not just careless about human life, as we have been following the Israeli press campaign leading to the slaughter, Israel actually seeks pleasure in inflicting pain and devastation on others. In the last few days Israel was singled out by the Nuclear Non-Proliferation conference's decision to note Israel as a country's whose facilities must be regulated as "fundamentally wrong and duplicitous." This happens for a reason. As much as Israel insists to operate as a modernised high-tech Jewish Ghetto, it also persists in being the biggest threat to world peace. 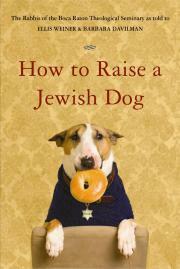 Seemingly, nations are starting to show some real signs of fatigue of the Jewish state and its collective lunacy. But the bad news from Israel doesn't stop just there. The Sunday Times reports today that Israel stations nuclear missile in the Gulf near the Iranian coastline. This doesn't leave much room for doubt. Following the suicidal Massada narrative, the Jewish state is now doing everything it can to escalate the situation in the Middle East into a nuclear world war. Ynet reported today that Security forces arrived near the village of Dir Nizam accompanied by the Border Guard's canine unit. "They chased us with vicious dogs," one of the protestors said. 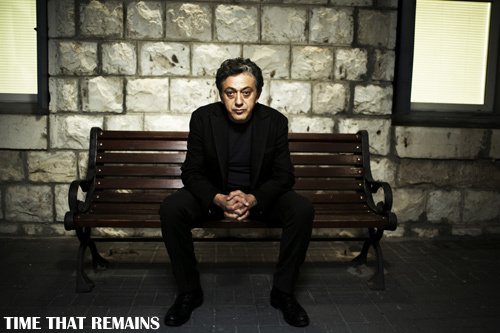 The London Palestinian Film Festival opened this year with Elia Suleiman’s latest feature “The Time that Remains” (105min), a monumental reflective and poetic take on Palestine since 1948. To a certain extent Suleiman’s latest film reminded me of Ramzy Baroud’s book My Father Was a Freedom Fighter. Both works chart a personal and devastating expedition into hopelessness. Both accounts are saturated with repeated failures and betrayals, both Baroud and Suleiman are courageous enough to criticise their collective narrative and yet, both pepper their story with some staggering wit, hope and humour. They make you smile just when you are about to sob.